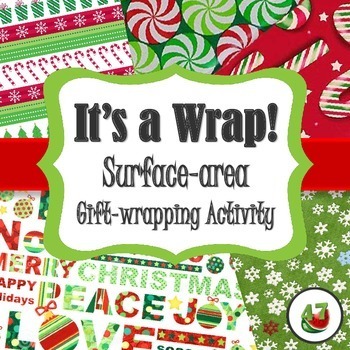 “It’s a Wrap!” is a festive, hands-on activity pack is great for a semester-end review of surface area. This activity is designed to take about 30 minutes of class time, but you will want to allot more time for instructions and clean-up. These ideas and templates are guides, but feel free to improvise or adapt the material to best suit your class. 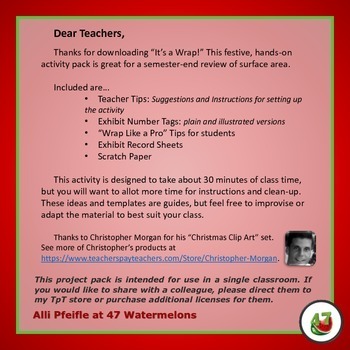 This project pack is intended for use in a single classroom. If you would like to share with a colleague, please direct them to my TpT store or purchase additional licenses for them.